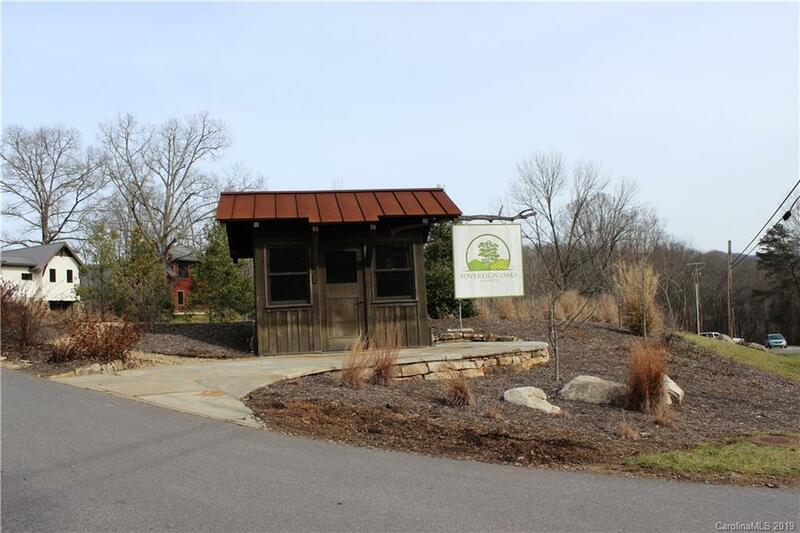 Beautiful, sunny lot in the Meadows neighborhood in the highly desirable Sovereign Oaks, ~7 miles east from downtown Asheville. The property (1.24 acres) has year around and seasonal mountain views and perfect for a house plan with a walk-out basement. Sovereign Oaks has a community greenhouse, an apiary, a tree house built into a bamboo forest, ~3 miles of trails and Bull Creek running alongside the community which is adjacent to Warren Wilson College with 25 miles of biking and hiking trails. The community encourages Green Building and renewable energy. A lot survey and topographic map are available with the sale.